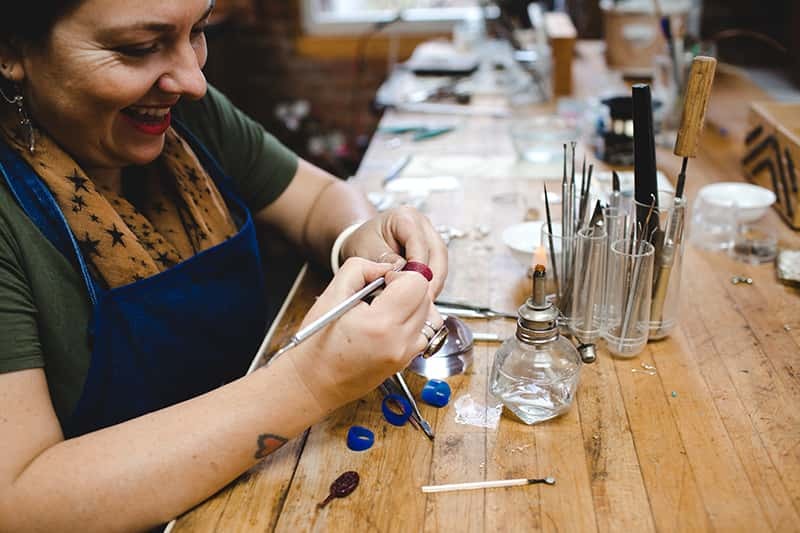 Join Columbia Gorge jeweler, Sarah Morton Erasmus, for a day of learning to carve and form rings! Beginning with a piece of jeweler’s wax, students will learn to carve, melt, drill & saw, forming a custom and uniquely shaped ring. Techniques for adding texture and decoration and will be demonstrated. Students will gain an understanding of the casting process, and will be guided through finishing techniques, using files and sandpaper. Rings will be cast in bronze with additional fees for silver, and/or chunky rings. Cast rings will be shipped to each student approximately three weeks later. Please note, this is a beginners workshop and is designed to support students in learning the process of carving. If you come in with a photo of a design you'd like to make, Sarah may tell you its too advanced for this first class. We can not support the design and construction of engagement rings or wedding bands during class time. These kind of pieces require a level of detail and precision that we can not accomodate in a group setting. If you'd like to create something of this nature, please consider requesting a private workshop with Sarah.